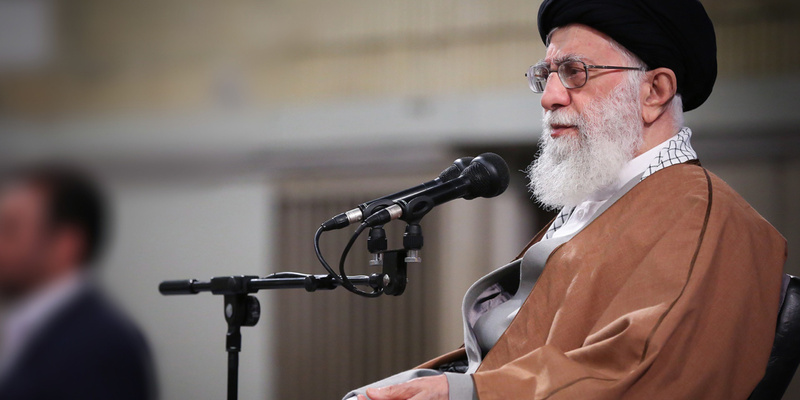 Iran’s Supreme Leader has reacted to the Trump Administration’s designation of the Revolutionary Guards as a “terrorist organization”, denouncing the “trickery, deceit, and maliciousness”. Addressing Guards personnel and their families in Tehran on Monday, Ayatollah Khamenei proclaimed, “The IRGC [Islamic Revolutionary Guards Corps] is the vanguard both on the field confronting the enemy on borders and even several thousand kilometers away [in Syria] as well as on the political battleground against the enemy. U.S. and other stupid enemies have done all they could against the Islamic Republic for 40 years, yet they failed to achieve a single thing and today the Islamic Revolution and establishment enjoy more power in the region and in the world. The Iranian currency, already down 65% in value since January 2018, fell 8% against the US dollar after the announcement. Such malice will lead nowhere. With the their deceit rebounding back to themselves, the Islamic Republic’s enemies — such as Trump and the idiots…in the US government — are moving toward rock bottom.